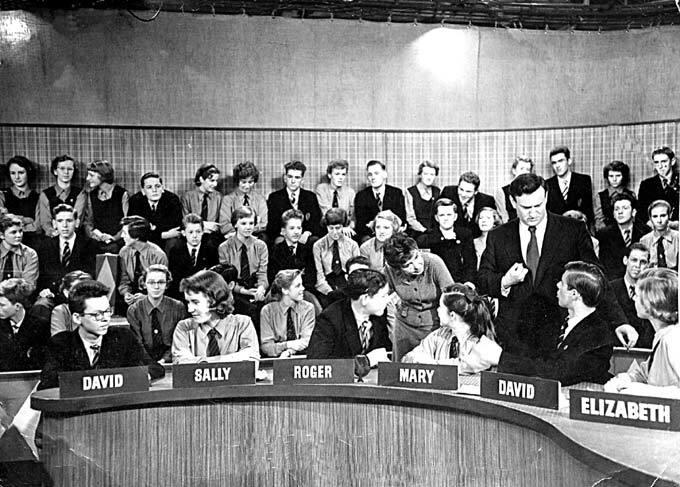 In October 1957, the School was invited by Granada TV to join girls from Greenhead High School in an edition of their 'Youth Wants to Know' series in which schoolchildren had the opportunity to interview celebrities of the day. On this occasion, the guest was the author and playwright Wolf Mankovitz, and the panellists were (left to right): David Cliffe; Sally Coleman; Roger Dowling; Mary Binks; David Morphet; Elizabeth Horan. The chairman was Elaine Grand.